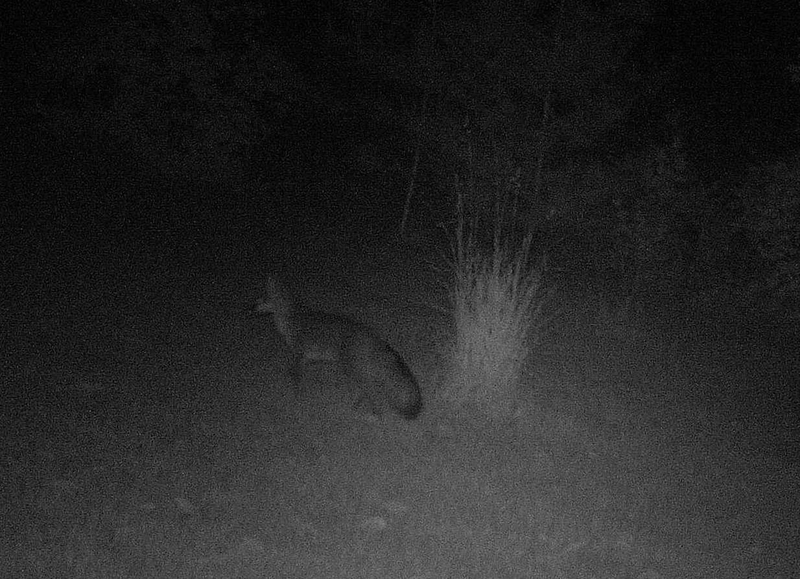 Live from the Critter CAM, a somewhat startled grey fox, gets his (or hers) picture snapped last Friday night in backyard of the Schroon Lake Bed and Breakfast. Owner Sharon Piper tells us that she borrowed a friend's Bushnell Critter Camera to get the images. "We had seen him in the yard previously but were never able to get a photo. I have no idea on how old he is, but he is a grey fox and is bigger than my 17lb Westie. We got a blurry photo of a raccoon too...it's amazing what is out in the backyard at night," Sharon said. With a full moon expected Wednesday, it might be easier to see those things we usually hear. Tell us if you’ve spotted anything wild recently in comments.